This free Christmas Word Search is a fun activity for all kids looking forward to the Christmas season. 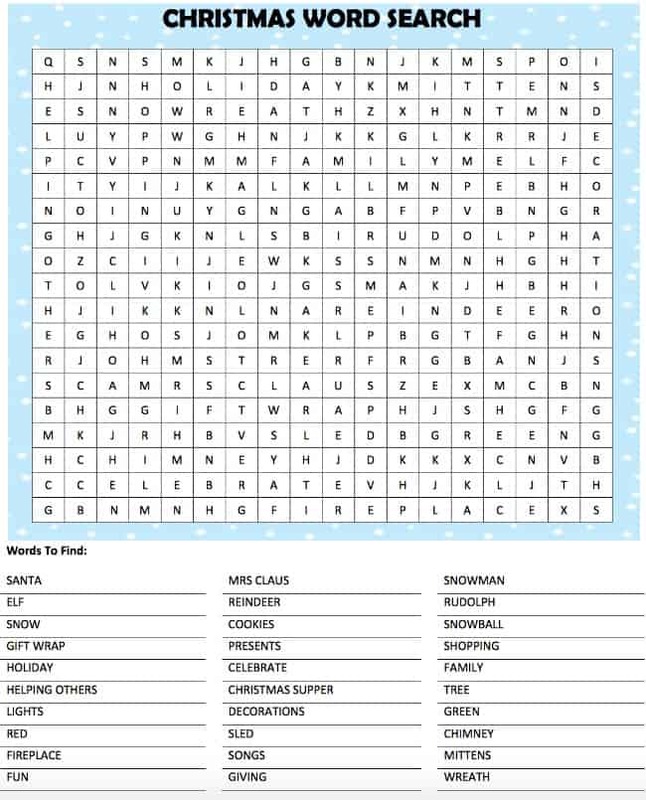 This word search can be included in things like kids Christmas treat bags & gift baskets or handed out at children’s Christmas parties. You can also bring it along with you on Christmas travel trips to help keep the kids entertained. Teachers, you are welcome to print as many copies as you’d like for your students. It’s a fun indoor activity to play when the weather outside is too cold. Just cozy up by the fireplace with a cup of hot chocolate and play this fun game. Do you have any favorite Christmas games? Do you prefer quiet games that you can work on alone or fun interactive games that the entire family can play together? 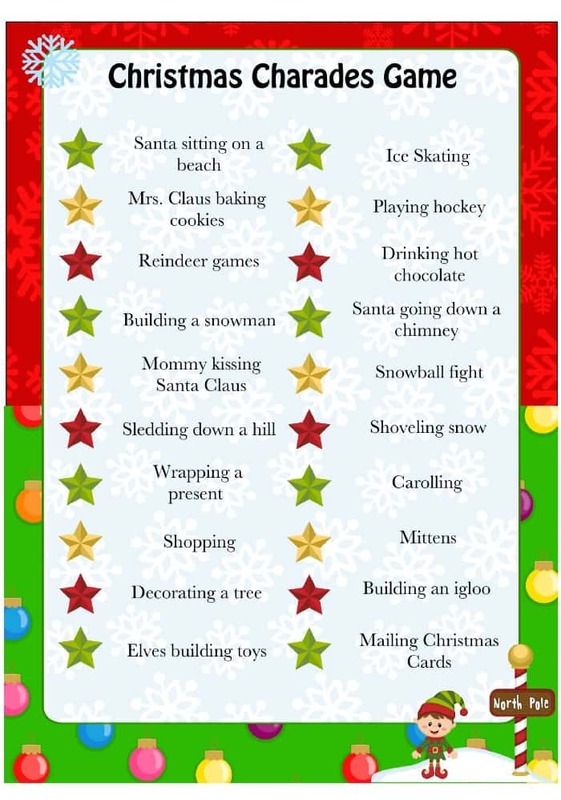 Don’t forget to check out the other fun & free Christmas printable games on our special Christmas Fun page. We have loads of freebies there from decorations, games (Oh so many free games! ), party planning checklists and more. Here’s a sample – Christmas Charades game! During the holiday season, we’re always adding new free Christmas games. To stay updated on the latest family fun ideas, follow along on Facebook. Christmas is our most popular category on Pinterest so feel free to pop by our Christmas board for additional ideas and inspiration. thanks! my kids LOVE wordsearches!! Thank you for sharing my kids will enjoy this. Thank you for sharing!! Great for my girl scout troop! !